2016 will be a crazy year for PBMs and plan sponsors of pharmacy benefit programs. The cast of characters continues to shrink through market consolidation, and most analysts believe that the trend will continue. At Wilkinson Benefit Consultants (wbcbaltimore.com), we’ve listened to plan sponsors raise the questions of “Where do we turn?” and “How can we evaluate a PBM’s ability to reduce pharmacy benefit costs?” We’ve kept our hand on the pulse of the PBM world and know that these changes can be good for the plan sponsors. Why? As the Big Three (Express Scripts, CVS Caremark, OptumRx) continue with their insatiable acquisition appetite, and as their resultant integration efforts create service issue nightmares, the market has never been better for the second tier players to make their move. And with this move plan sponsors can find themselves in the drivers seat being able to negotiate very favorable terms and pricing. As promised, this will be an exciting year in the PBM world. Stay tuned. Much more to come! Here are 7 Crucial Tips you'll want to know to reduce your Drug Spend in your PBM Contract. 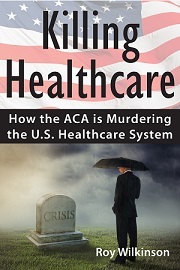 “Killing Healthcare” Book Now Available! © wbcbaltimore.com and Wilkinson Benefit Consultants, Inc. All rights reserved.